Quiz Show 2019 - Register to play! You Want a Team - You Know You Do! It's that time again! 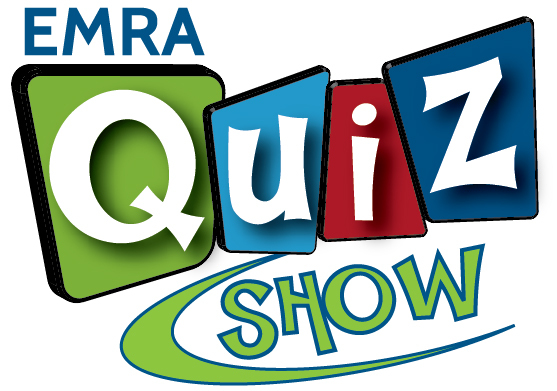 We're looking for eleven teams to compete at the annual EMRA Quiz Show. This year, we're bringing the show to the CORD Academic Assembly in Seattle, March 31 - April 3. Want a team? Tell us here no later than Thursday, Jan. 31 and we'll conduct a lottery on February 4th. Let's play! * 1. What is your residency name? * 2. We suggest four residents per team, but you may play with a team of three. How many team members will you probably have? That's all we need! You're entered in the lottery. Watch your inbox for notification on February 5th to see if you were chosen in the lottery (we'll let you know either way). Mark your calendars for Sunday, March 31, 5:30 - 7:30 pm. The annual EMRA Quiz Show is a must see at CORD! If your team is selected to play, you will need to bring 5 door prizes that will go to the winning team of EMRA Quiz Show 2019. Questions? Send them to Sherri Lewis at slewis@emra.org.